Price (incl.vat) 528.00 - 2937.00 € / pcs ✔ Delivery time 5 - 15 working days. ✔ In stock. High quality from USA Clutchmasters. 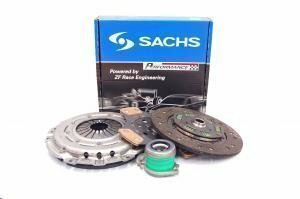 Clutchmasters has long experience from Clutches, since 1976 in USA. 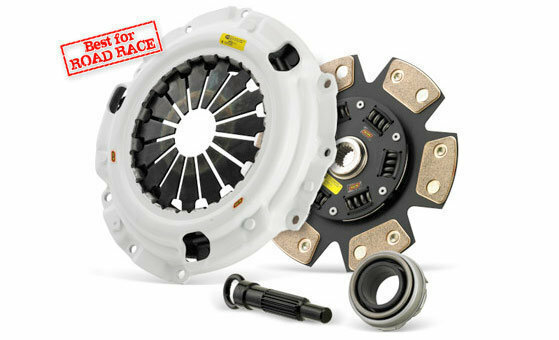 Comprehensive range of clutches for sports car to heavy duty cars. Many clutch model series, for every use. 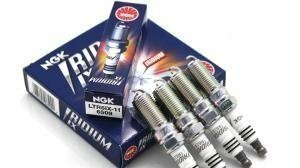 Up to 2000nm torque ratings! Firm friction materials and heavy springs. Comperehsive range for USA, Euro and Japanese cars. 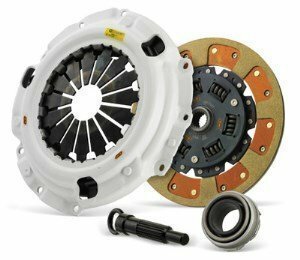 FX100-series: To replace original clutch. 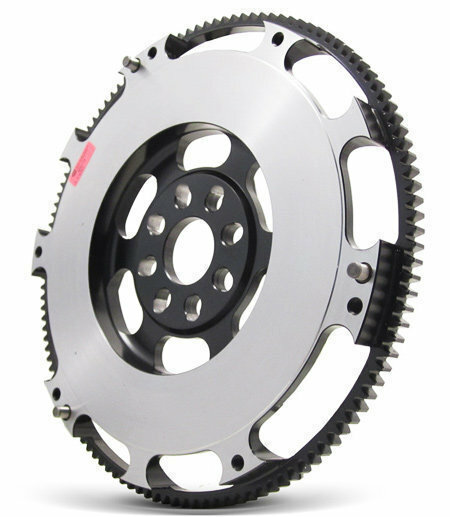 Slightly stronger spring and compound disc offering better option for spare clutch. 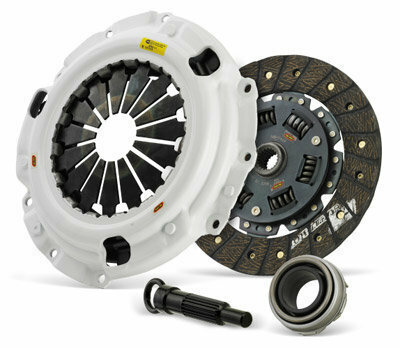 FX200-series: Clutch for original or slightly tuned car, Kevlar-compound disc offering longer durability. Drives like a original clutch. 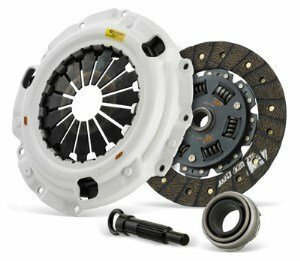 FX300-series: Most common and most popular clutch kit with segmented kevlar disc combined with HD clutch cover. Clutch feel like OE, torque rated depending on car up to 520-580nm or more! FX350-series: From FX300 type to slightly more sintered type Formula button type disc. 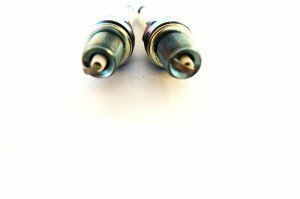 FX400-series: Tuners choice. 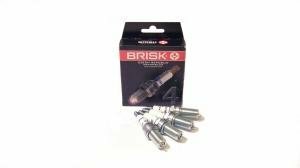 Sprung sintered clutchkit available in 4, 6 or 8 bladed disc, so you can choose between comfort and torque rating depending on your needs. Torque rated normally 700-900nm. 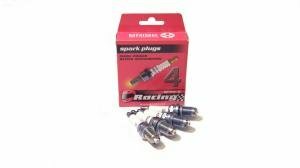 FX500-series: Sintered clutchkit, recommended firstly for racing purposes when damping is not needed in driveline. 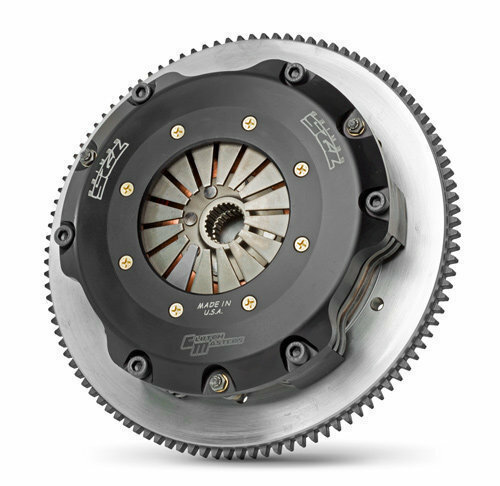 Clutch feel is stiff, torque rating is strong. Available in 4, 6 or 8 bladed disc. 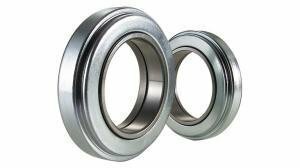 Torque rating usually 700-900nm. FX725-series: 7.25" twin kit. Delivered in complete package with special made flywheel. Reasonable comfort with massive torque rating. Torque rated starting from 1000nm+. Choices between different friction materials. FX850-series: 8.5" twin kit for racing purposes. Delivered in complete package with special made flywheel. Maximal torque rating, up to 2000nm and more torque ratings. Available in different friction materials. Made for use, lightweight flywheels. Aluminium and Cromemoly flywheels. 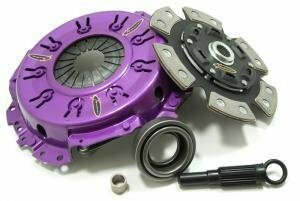 Here you can find clutch installation instructions and manufacturers webpage. Manufacturers page & installation instructions, Clutchmasters.